The apartment is finished to a very high standard. The open plan living dining area is modern and spacious and is adjoined by an ultra modern kitchen with all appliances and fully equipped. The master bedroom is ensuite and the second bedroom has access to the main bathroom. 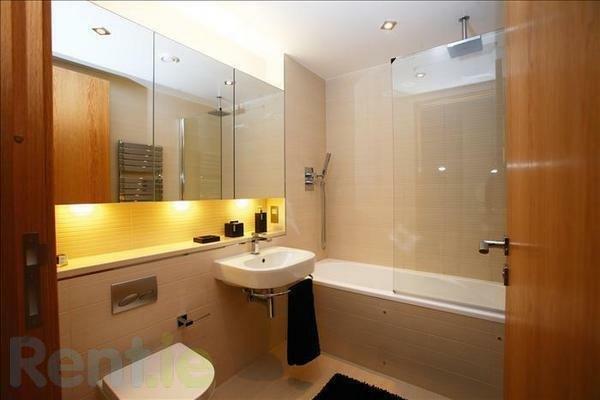 Each bathroom is finished to a very high specification with exquisitely tiled floors and walls. Dublin City is only 20 minutes away by Luas (tram). For those with a car there is underground parking for one car. In the vicinity of the apartment there are a number of excellent supermarkets, shops, restaurants and bars.